2006 Ilion High School production of Goodnews. 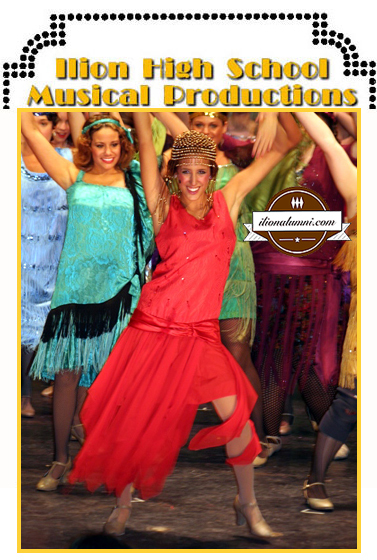 Photos and the Program from the 2006 production are now available. Photos courtesy of Linda Trevor. The Dr. Jeffrey Seymour Scholarship Fund - St. Patrick's Day Dinner is held annually at the Ilion Knights of Columbus. This year it is scheduled for Sat. March 17th from 3-7 pm. Cost is $7.50 for adults and $3.50 for children under 12. Live entertainment following the dinner, from 8 to midnight, provided by Justin Smithson, downstairs.